Marked Hiking/Snowshoeing Trail established 2018), birding, photography, botanizing. Uniquely, there is canoe access to this access from the Stone Lake Public Landing in spring/early summer before dense growths of Wild Rice grow thick enough to block passage via the channel. Canada Jays (year-round), Trumpeter Swans on the lake, Rattlesnake and Royal Fern, Spotted and Early Coralroot Orchids, floating bog habitat, and dragonflies. If you do explore this property and have some interesting sightings email Head Naturalist Clinton at naturalist@saxzim.org with your report. There is a small (2-3 car) pull-in area off the road or park at the snowplow turnaround, before the road narrows, for winter parking. Large “Blue Dasher Bog” sign to be put in soon, at trailhead of property; No signage yet at corners of property. East of Stone Lake, adjacent to East Stone Lake and West Stone Lake at the end of Stone Lake Road. From Stone Lake Boat Landing: Head east along East Stone Lake Road. Stay right at first bend in road. At Y in road (1/10 mi south) stay left and you will cross between West Stone Lake and a backwater area. Continue along the road for another 1/10 mi. Parking along the east side of the road may or may not be cleared. Parking can also be done in the powerline corridor just down the road. 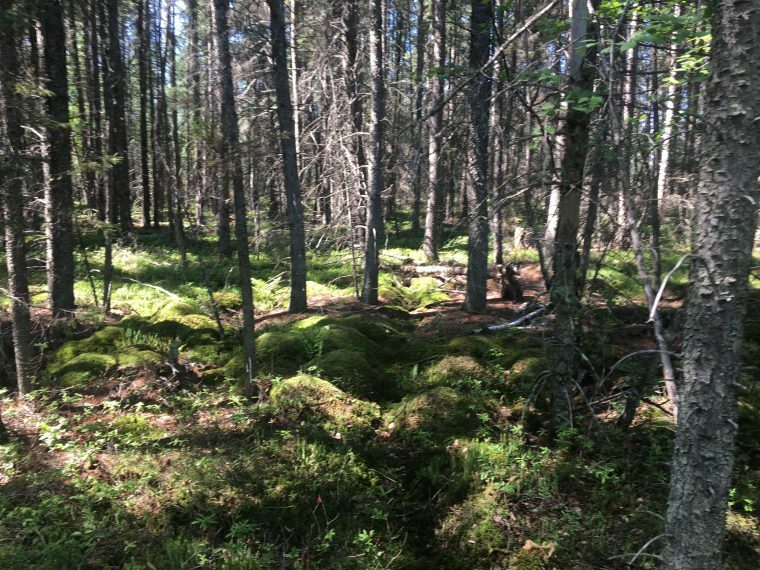 The purchase of this bog was made able through our generous “1-acre legacy donors” for funding the payment on this 24 acre parcel wedged between East and West Stone Lakes. The last acre was claimed in April 2018 and the naming rights to the Bog were secured during the fall of 2018 by Arvella Greenway. The property is named for a species of dragonfly, the Blue Dasher, which can be found in only a few places in northern Minnesota including this property.